So you received your brand new Nexus 6 today, straight from a factory in China, and you walk into a Verizon or AT&T or Sprint store to have it activated for use. As you and a sales rep get the process going, you get to the point where they need to scan the nano SIM for the phone and then your phone’s IMEI. You can almost taste the Lollipop. You will soon know how many licks it takes. You are this close. The sweat needed to give you extra grip on the 6-inch whale in front of you is starting to build in the palm of your hand. Your fresh pair of JNCOs is crisp from the dryer. The fresh Free Willy tattoo under your tribal band still has a bandage protecting its scab. You are a Nexus 6 owner. No, even better – you are an unlocked Nexus 6 owner on the verge of becoming one with a marine mammal. “I tell you what to do, carrier,” you say under your breath as you reach for your newly activated phone. And then the sales rep gives you that look. You have seen this look before, typically when the 7-11 clerk scans your lottery ticket. You sir, do not have a winner. “Sorry, the phone won’t activate because the IMEI is not in our system. There is nothing I can do,” the sales rep says. Yes, there is a chance that when you walk into a carrier store today (or later this week) to have your brand new, unlocked Nexus 6 (from Google Play or Motorola’s store) activated, that you will leave without an active phone and equally depressing attitude (this has already happened to a couple of our readers). That’s what happens when new, unlocked phones start arriving before carriers are ready for them and you don’t know what to do to get around their systems. It happened last year with the Nexus 7 LTE (2013) on Verizon and we sort of expected it to happen again with the Nexus 6. We talked about this situation this morning. In short, the Nexus 6, in order for carriers to activate it with a new SIM on their networks, needs to be in their databases of IMEI (the individual number attached to all cell phones) numbers. Think of it as a green light given to a phone that has been approved, so that it can be activated on their network. With modern day phones that run on LTE networks (GSM networks too), those IMEI numbers are still important and are used to activate new lines of service, but if you already have service, the important piece to this all is a SIM card. With an active SIM inside a phone that has the correct bands for a carrier’s network, you don’t even need carrier approval to work. The active SIM is enough to give the phone service. And that’s where we find our workarounds. So what can you do to make sure you can use your new phone? A couple of things. If you are a current customer with the carrier you are trying to use your Nexus 6 on, and already have a nano SIM (which is the SIM size used in the Nexus 6), then you are good to go! All you need to do is open your Nexus 6 and pop out its SIM tray. Now, turn your current phone off, take its SIM card out, and put it in the Nexus 6. Power on the Nexus 6, and bam! Your new Nexus 6 now has service with your current carrier. It’s that easy. To see proof, check out our “Nexus 6 working on Verizon out of the box” video. If you are a current customer with the carrier you are trying to use your Nexus 6 on, but do not have a nano SIM, you are still (almost) good to go! Your SIM is active and will work with your carrier, but you need to cut it down to nano SIM size in order for it to fit in the Nexus 6. Seriously, you can cut SIM cards. We have a guide on how to cut a micro SIM to a nano SIM to get you going. If you don’t have the tool we showed there or feel like waiting for it to arrive from Amazon, you can use a pair of scissors too. There is a chance that you don’t have a nano SIM and you don’t feel like cutting your current SIM down to nano size. That shouldn’t be a problem. You should be able to talk your carrier into activating a nano SIM for your current phone, which you will then just swap into the Nexus 6. Tell them you want a nano because you are future proofing for your next phone, or something along those lines. You could even tell them that you might be buying an iPhone 6 soon from a friend, so would rather just have the nano SIM already on hand for when that happens. Just don’t put that nano SIM in your current phone without a SIM adapter or it will get stuck and be a massive pain in the rear to remove. You may want to bring in an adapter with you before going this route. As a recap, you are having them activate a nano SIM on your current phone (non-Nexus 6), because it should already be green-lighted in their systems. And remember, the Nexus 6 isn’t, which is why we are talking through all of these work-arounds. Have your carrier activate a new nano SIM for your current phone (non-Nexus 6). Once they are done, take that SIM and put it in your Nexus 6. Done! This one might be trickier than the others. If you walk into a new carrier to activate a Nexus 6, meaning you don’t currently have an active SIM from that carrier, they may not be able to activate a SIM or sign you up for service at all, because of the IMEI stuff we talked about above. However, there is a chance that you will find a sales rep that is willing to do a workaround, but that all depends on the rep and maybe even the carrier. You could, in theory, tell them you have this brand new Nexus 6 and that you want to activate it, but you know it won’t activate because it’s not in their system. That rep could potentially activate a “dummy” phone as a placeholder on your new line initially to at least get your service up and running. Once that is done, you would then have an active SIM that could then be placed inside the Nexus 6. But again, this sort of depends on the carrier and the rep you are dealing with. Basically, you need to try and work with the sales rep in a store to get you an active SIM – that is your only goal. With an active nano SIM, life with an active Nexus 6 is yours. 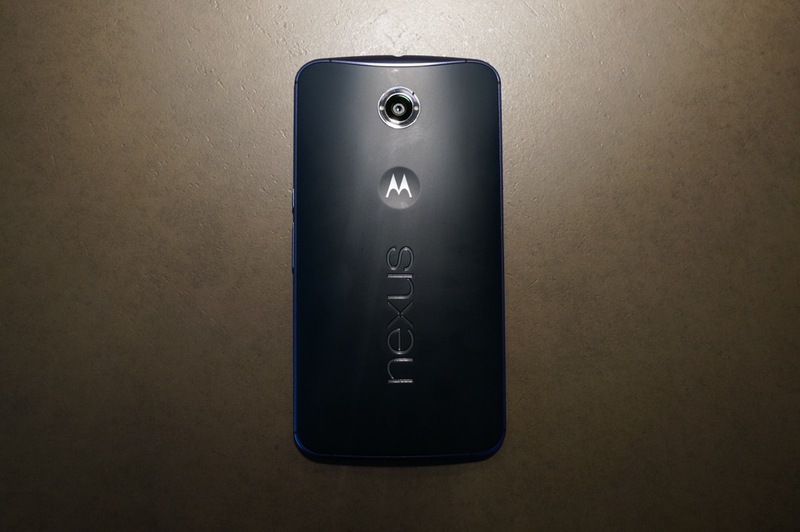 As of right now, those are your options to get your Nexus 6 working. I know those aren’t exactly clean, but as we wait for the Nexus 6 to get added to carrier systems, this is what we have to do. If there are other workarounds that you know of, feel free to let us know in the comments.